Naomi Hobson resides on the banks of the riverbeds where her grandparents were born in Coen in far north Queensland, living in an old tin shed that was once her village church. The Cape York landscape of mountains, rivers, woodland and sea provides endless inspiration for Hobson’s paintings. 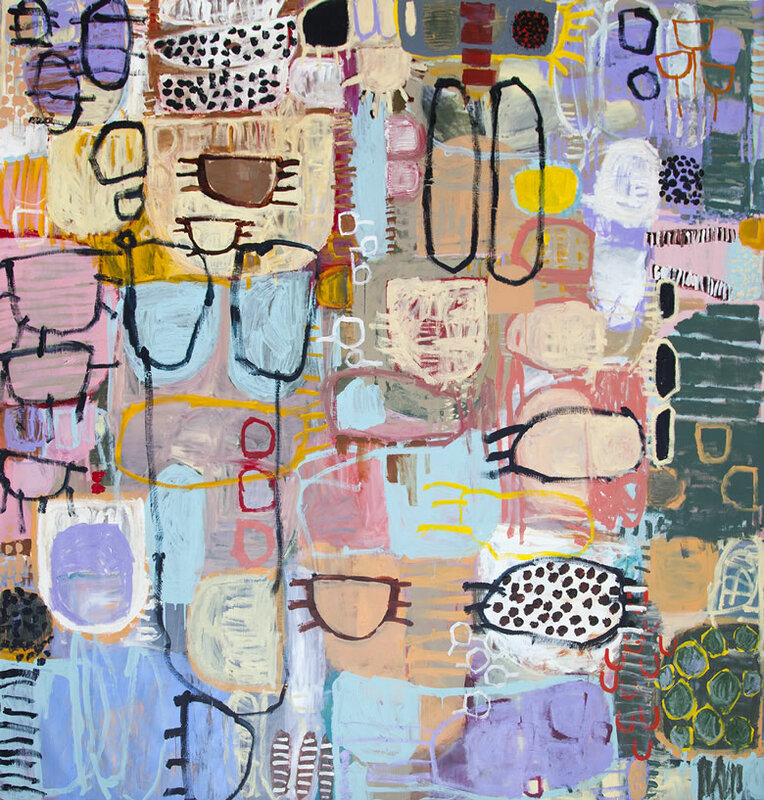 Hobson’s colourful abstract compositions act as a link between individuality and a shared identity drawing from her culture and the vast traditional lands of her ancestors. Her work is spontaneous yet grounded. Always driven and influenced by colour, for Hobson colour allows her to express her feelings, responding to her environment, while also wanting her work to ‘pop’. Through her work, Hobson aims to continue her family tradition of political and social engagement, every brushstroke expressing the innate embeddedness of cultures and country, expressing a specific link to place, while maintaining a strong sense of her own style and individuality.